If you saw the above scene going on, what would you do? fire and smoke. 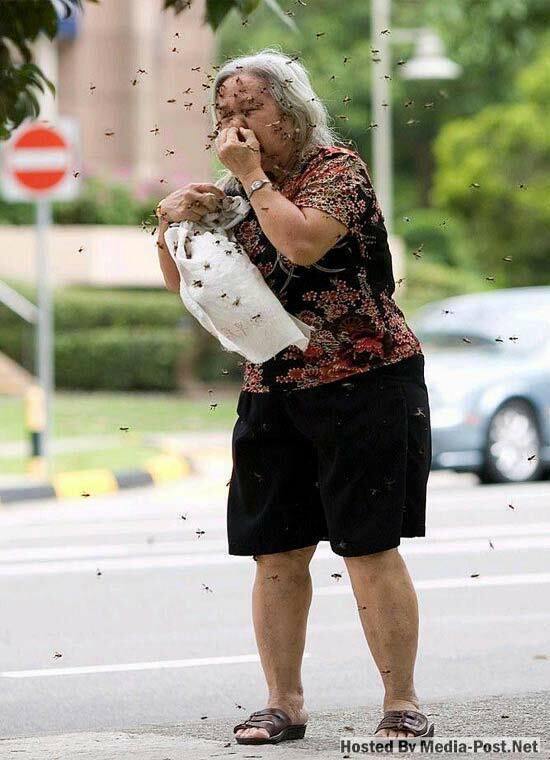 After the ordeal, her face and limps were full of bee-stings. The poor lady wanted to just walk away on her own to seek treatment from a nearby private clinic. The ambulance arrived just then and passersby advised her to seek treatment from the hospital.